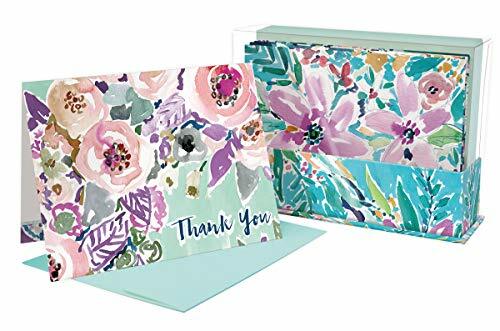 Below, you will find thank you note examples to thank your boss for help, support, mentoring, work anniversary wishes, opportunities, recognition, appreciation and for being the best boss ever! Tip #1: If your boss sends you an appreciation email or tells in person, a simple reply of “Thank You” may be enough. The examples below will be longer messages as I imagine different situations when a boss may express appreciation. Tip #2: Don't make unfavorable comparisons to other bosses. For example, don’t write, "You are so much better than John as a boss." Tip #3: Be specific, if there was something specific that you want to thank the boss for. The examples below are based on hypothetical situations, so if you can be more specific, your note may be perceived as better (you can also download my How to write a better thank-you note guide). In the examples, words like project, process, program, or position, could be replaced with what is relevant for your situation. Tip #4: Read through all of the examples for inspiration. If you are copying and pasting into an email, you could combine bits for different examples. Write the thank you message here. Usually, this will be 2-4 sentences. You may also want to read How to write a thank-you note in 5 easy steps. The examples below are for the center section (the 2-4 sentences). Replace words in [brackets] as appropriate for your situation. 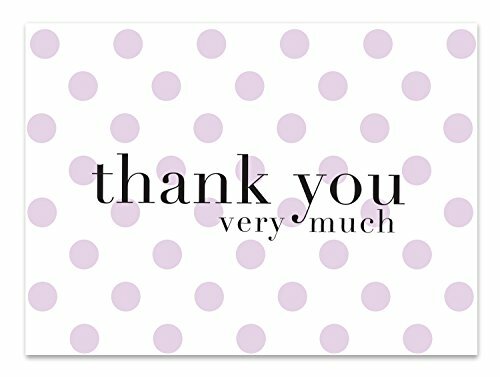 Thank you for your help and support while I was out recovering from being ill for a few weeks. I am grateful that you were able to coordinate with the team to get my work covered and not have and that they were not any disruptions with the clients. You are a wonderful boss. I look forward to returning to work on [return date]. I am grateful for your support during the time I was out sick. Your support helped me not to worry. I was able to rest and feel confident that you and the team were able to do my work that couldn't wait for my return. Thank you for making sure nothing was missed. Thanks for all of your support when I needed to be out of the office unexpectedly when my dad had a stroke. Not having to worry about what was happening at work or who would be doing my job was a blessing. You make it easy to feel confident when someone on the team needs to be out, as you always make sure the work gets covered. You are an outstanding boss. I was concerned about having to be out on short term disability. Thank you for your understanding and support. I will be sure to pay it forward someday when given the opportunity. I want to tell you how much I appreciate the time you've spent mentoring me during my first few months on the job. The training classes have been okay, but your extra insights added to my understanding. Because of you, I feel that I got up to speed faster. I look forward to being able to work independently soon! Thank you for being a great mentor! I appreciate all the help you've given me with [new skill/project name]. I am also thankful that you have been patient will all my questions as I strive to learn everything that I can. You are a wonderful boss! I appreciate all the help you've given me. Your support with this new project has been fantastic as the customer's expectations have been much higher than anticipated. [Client name] told me last week that the level of service is unlike any they have had previously. While they don't know how much extra time you've been giving to help out, I do! Because of you, we've been able to secure the new contract. Thank you for helping me with [whatever the boss helped with]. I admire your dedication to not only me but the entire team. Our team is better because of your continued involvement. I am thankful for your support with [whatever/how the boss is supporting you]. I am confident enough to do the process independently next month! Thank you for the anniversary wishes! It was kind of you to recognize my 10th year of working year. I hope for many more successful years! The certificate for my 15th anniversary is terrific and will look lovely framed. I will display it proudly on my desk. Thank you for organizing the card from the team as well. Whew! I've been on your team now for three years. Thank you for wishing me a happy work anniversary! I am glad to be on your team! I appreciate the "happy anniversary" for my eight years of working here. It's been quite a journey, and I've learned a great deal. Your kinds word about me during the past four years on your team, made my day! You are gracious and kind. Thank you for recognizing my work anniversary. Thank you for wishing me a happy 10th anniversary! The time sure did fly by as I love working here and what I have the privilege to do each day. I am thankful for your anniversary message! You said such kind things about my work performance. I am happy to be on your team. You are such a thoughtful boss! Thank you for wishing me a happy anniversary! Wishing me a happy anniversary was a pleasant surprise! I will enjoy the gift card to [restaurant name]. Thank you! Thank you for giving me the opportunity to work on [project]. The challenge took me out of my comfort zone. I learned a lot about [topic], and I looked forward to coming to work every day. I am grateful that you choose me for the project. I am grateful to you for offering me so many opportunities to try out. The variety of positions and tasks are helping me to identify where I went to go next in my career. I appreciated that you didn't keep only doing [position] since I was good at it. I am excited to learn and try different types of work. You've been a wonderful boss! Thank you for alerting me to the new opportunity on the new team that is being formed. As you know, I am looking for a new challenge and look forward to starting on the new team in a couple of weeks. Also, thank you for recommending me to [new team's boss's name]. Since I didn't know her at all, I think your words helped her decide that I am a good fit for the new team. The conference was amazing last week! Thank you for giving me the chance to go along with [name of the person you went with]. I learned many things just from being on the plane with him! I also made some promising connections at the event. I am so excited to be able to help with the special project. Thank you for giving me the opportunity. I look forward to utilizing my skills in [program/your skill area] to help the project be a success. Thank you for looking for opportunities for me among your network of connections. Your recommendation has helped me to be awarded some of the new contract work. I hope to be able to "pay it forward" someday as I build my network. I enjoyed our lunch meeting last week. Thank you for taking the time to join me and explain the new positions that are coming open on your team. I welcome the opportunity for a change in position with different types of work than I've been doing for the past three years. Thank you for giving me the opportunity to work with [person's name]. I have learned so much from [him/her] during the past few weeks. You were right to partner us together as we've worked so well together. The project is more successful with both of our contributions. I am enjoying the challenges in the new position! Thank you for letting me about the opportunity as it changed my life. I didn't know how much I would love this type of work. I appreciate that you encouraged me to give it a try. Note: By naming your boss the "best boss ever" that implies that every other boss you've had wasn't the best. So, be careful what you say as you never know who else will see the note. And it's also possible that different bosses can be the "best boss ever" in different ways. Thank you for being the best boss I've ever had. You are great at organizing the team and projects. I also like how you look out for opportunities for not just me, but everyone on the team, that will help us to grow our skills. Working for you makes the job feel less like a job. I enjoy working with you and others on the team. Your integrity is admirable, and by far, you are the best boss I have worked with. Thank you for being an awesome, fair, and motivated boss! You are the best boss ever! Thank you for your ongoing flexibility with my schedule and letting me work from home whenever I need or want to. Not having to make the long commute every day of the week is nice as I can spend extra time with my family on those days. Thank you for being an awesome boss! Being on your team is an outstanding experience. I also appreciate that I can come to you with any issues or concerns and know that I can trust you to help solve the issue or direct me to the correct person that can help. I am grateful to have you as my boss. You've been excellent to work for. I am thankful that you do not micromanage me or others on the team and trust us to complete the work as needed. Have I told you lately that you are the best? I feel fortunate to have ended up on your team during the latest reorganization. Your leadership and guidance have proved quite valuable as I have excelled in the position. I like having you as my boss. You are kind, friendly, and manage the team well which makes for a pleasant working environment. Thank you for being awesome! Thank you for always being so willing to help me. You are the best boss ever! I admire your leadership and knowledge of all of the products we work on. You are amazing! Thank you for being the best boss ever! I will feel fortunate to have been placed on your team. Your management style works well with me. Thank you for appreciating me! I was astonished when you shared about my contributions to [Project Name] in the staff meeting. I am looking forward to the next big project! Thank you for sharing with me that you are pleased with the work I have done for [project]. Knowing that I am exceeding expectations feels good! Your guidance had helped. I am grateful for your kind words of appreciation. Thank you for sharing with me that you and the team are happy with the work I have delivered. Thank you for letting me know how much you and the client appreciated that I was able to provide the requested results on early. It made working the extra hours feel worth it. You are such a wonderful boss. Thank you for letting me know how much you appreciated the extra work I put in last week to meet the deadline. I also liked how how recognized my efforts at the team meeting without sounding like a brag! I was happy to help out the team (and ultimately the customer) by putting in additional hours to help get the project done. I will always remember your words of recognition and gratitude in my promotion letter. They are the nicest things a boss has ever said about me, and I'm glad others know how proud you are of me. I hope to make my next boss just as proud in the new position. Thank you for recognizing me at the conference! I was surprised to learn that I set the regional sales record for the year. You were sneaky to keep that from me the week leading up to the event! I will enjoy the bonus that comes along with being #1! I also felt blessed to hear your words of appreciation. This note is a little overdue! I am thankful for the years of encouragement and appreciation I've received from you since joining your team and felt like I needed to share that with you. Your positive attitude has helped me to love coming to work every day. Knowing that you appreciate me and the entire team helps as all do better work. Wow! I am so happy to be the employee of the month. The letter that you submitted to nominate me was awesome. It felt amazing to be recognized at the all staff meeting. A few people have told me how glad they are that I was finally selected! Thank you for your wonderful words of appreciation and recognition of my work at the staff meeting! I have felt blessed to be on your team. I look forward to the success of the next team project! You are an inspiring boss! Your gratitude for the hard work the team puts in is appreciated. It makes working the extra hours feel not so bad. It was also nice of you to recognize that I've been with the company for 20 years at the last team meeting. 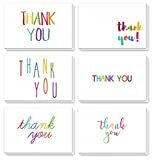 I hope these note examples helped you to thank your boss!